Through buildOn’s partnership with the SolarCity GivePower Foundation, we’re in the process of bringing sustainable solar power to all buildOn constructed schools. To date, buildOn and SolarCity have installed solar power systems in 96 schools in Haiti, Mali, Nepal and Nicaragua, with 80 more installations scheduled for 2015. Equipping schools with solar power provides important benefits for enhancing learning and transforming economically impoverished communities: Classes can continue when natural light is not available due to weather or time of day; buildOn Adult Literacy Program classes can be taught after dark when parents and grandparents are done with their work day; power can be provided for mobile internet in the classroom; fans can be used to create more comfortable learning environments; and community members have a well-lit place to meet after dark. 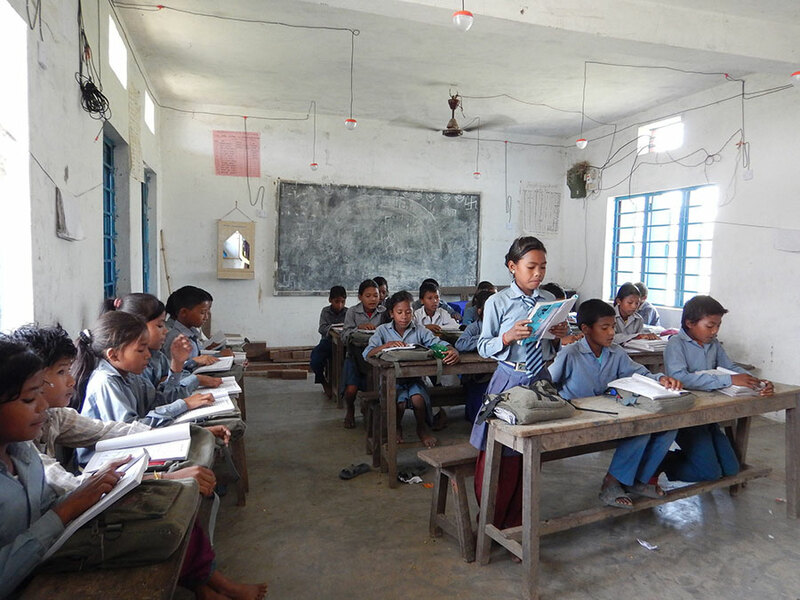 The solar electric system in this classroom in Nepal ensures these children can learn under any conditions and their parents and grandparents can gather at night for classes and community meetings under the lights. 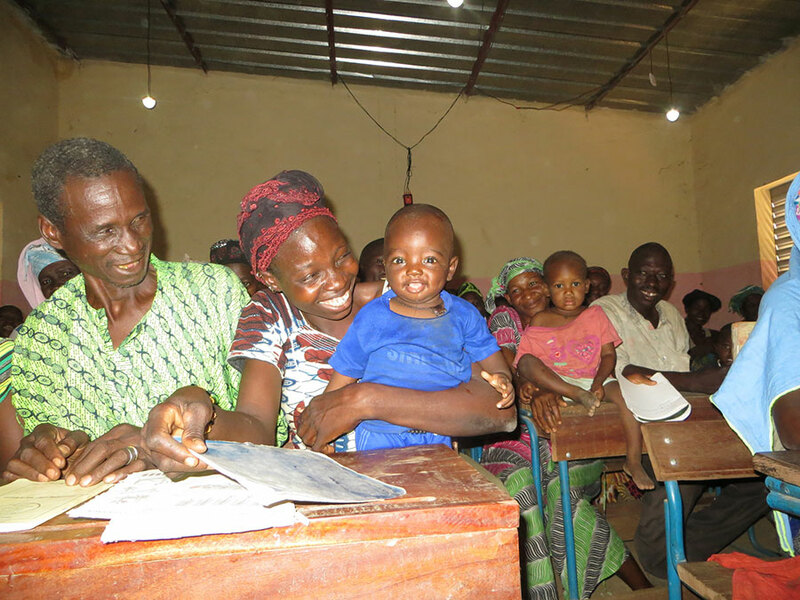 Surrounded by darkness outside, adult students in this village in Mali learn under the lights in a classroom powered by solar electricity. 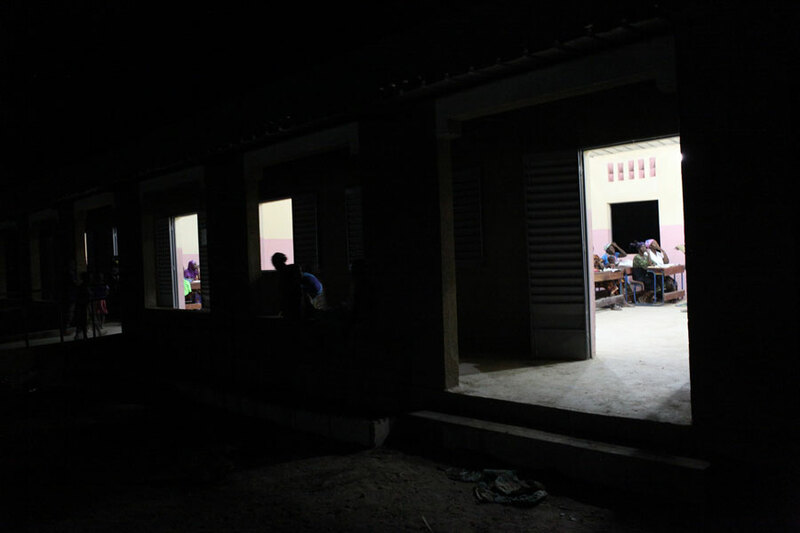 Classrooms that stay illuminated after dark are essential to buildOn’s Adult Literacy Programs. In these programs, parents and grandparents gather in the evenings to learn to read, write and do basic math through the lens of health, enterprise and relevant life skills. For people denied access to education as children, like this woman learning in a solar-equipped classroom in Nepal, buildOn Adult Literacy Programs are often their first opportunity to attend school. 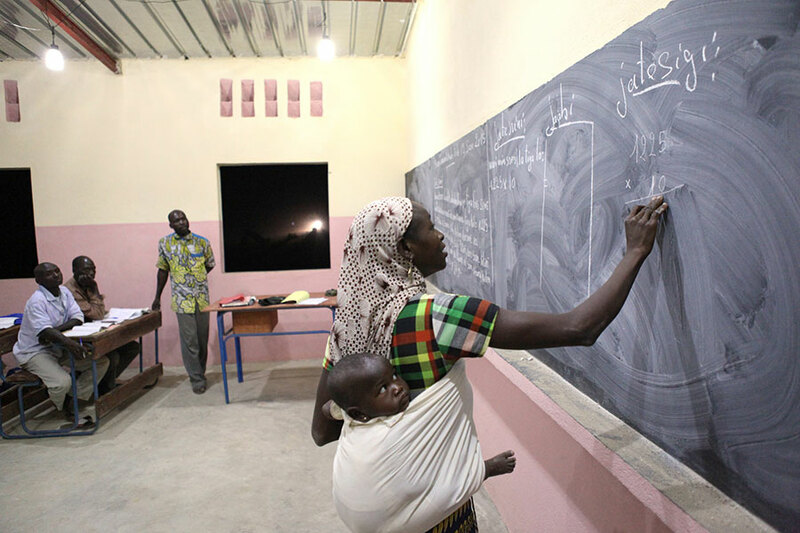 The people of this Malian village are making learning a family affair under the new solar-powered lights in their buildOn constructed school. These Nepalese children love their buildOn school and they are excited to learn under the lights of their new solar electricity system. Left: In Nicaragua, buildOn staff get ready to transport solar equipment to an isolated village. Most of the equipment for the solar power systems is portable enough to be carried on motorbike. Right: Community members in this Nicaraguan village worked with buildOn staff to install their new solar electricity system. Left: The view from below the rows of newly installed solar-powered LED lights in one village in Nicaragua. Right: Solar power is not only generated, but also stored in a battery system that ensures that buildOn communities have electricity and light day or night. Equipping schools with solar power is part of buildOn’s commitment to ensuring that people of all genders and ages have every opportunity to learn and improve their own lives.